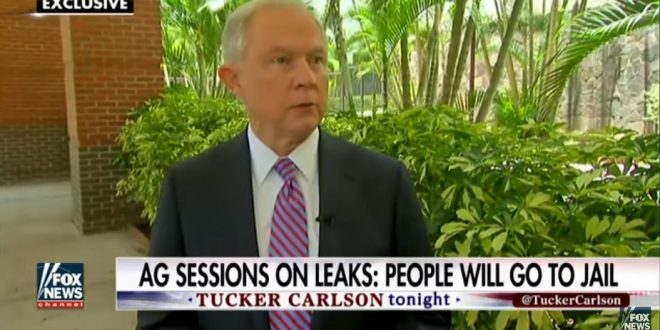 Sessions Vows To Jail White House Leakers [VIDEO] - Joe.My.God. Sessions said he hasn’t been happy with previous efforts to prosecute and investigate leaks, adding that the Justice Department during his short tenure so far is already increasing that number. He said he plans to hold a press conference next week on the issue. “The president has every right to ask the Department of Justice to be more aggressive in that, and we intend to,” Sessions said.